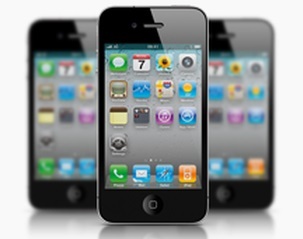 Boost your customer retention with your own smartphone app! Attraction LLC now offers mobile apps to businesses in Wilmington, Delaware and across the USA! Your customers always have their smartphones, so you’ll always be just a tap away! 80% of online browsing time is on a smartphone! 89% of customers prefer mobile app to mobile website! Mobile Apps are no longer just for “large” businesses. Contact Webmaster Ray for an incredible low monthly cost for your own custom app! Get ahead of competition and stand out! Over 20 features included: Post events, menus, GPS directions, maps, specials, etc. Restaurants & pizza shops can offer online food ordering or reservations. Salons & fitness centers can allow appointment scheduling. Non-profit organizations can list events and make donations easy. Real Estate Agents can offer one tap access to property listings. Bars & Clubs & Coffee Shops can offer Loyalty coupon programs & event schedules. DJ’s and entertainers can show lists of events & photo galleries. Contact Webmaster Ray for a demo or with any questions at all. More information here. Get into your customer’s hip pocket. We can have your mobile app in the Google Play and App Stores in a short amount of time! This entry was posted in General, Internet Marketing on March 1, 2016 by recast.